marine life, you might choose to order something else. If your choice of seafood when splurging at a high-end restaurant or sailing on an ocean cruise is Chilean sea bass, you might want to reconsider: The fish isn’t really a bass at all and it's probably not from Chile. 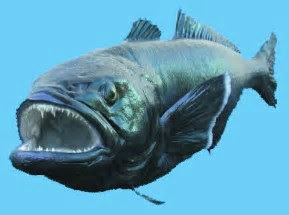 The truth is that it’s really an ugly fish that Chileans would rather not bother with. Chilean sea bass became very popular with Americans as the result of a marketing campaign invented in 1977 by a fish wholesaler named Lee Lantz. “Chilean sea bass” is essentially a trade name invented to appeal to Americans looking for an exotic-sounding main course. Because it was used extensively on menus, it was accepted by the Federal Department of Agriculture in 1994 as an alternative market name for Patagonian toothfish and in 2013 for Antarctic toothfish. many of whom don't know the back story. 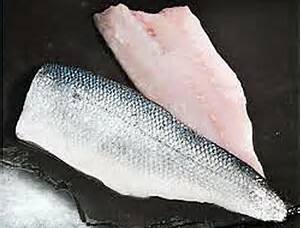 It’s is a mild white fish with a flavor can adapt to whatever it is prepared with, so chefs love its versatility. For that reason, it fetches premium prices in specialty markets and high-end restaurants. So, what’s the problem? Overfishing to meet demand has affected the sustainability of marine life in south ocean waters. The popularity of Chilean sea bass led to over fishing despite regulatory organizations. In the late 1990s to early 2000s, illegal, unreported and unregulated fishing (IUU) nearly collapsed some fisheries in the Southern Ocean. Piracy was rampant, and the supply dwindled. Besides being illegal, over fishing upsets the balance of nature. Patagonian toothfish is the main food of orca whales and seals that inhabit the cold southern hemisphere seas—and not just around Chile. As Patagonian toothfish have become less plentiful, whales and seals that depend on this food source must seek new waters—or die from starvation. and seals lack a necessary food source. One of the guides on our Antarctic voyage recommended a book by Wall Street Journal reporter Bruce Knecht called “Hooked:A True Story of Pirates, Poaching, and the Perfect Fish.” During our down moments on the trip, I read the book which describes a three-week, 4,000-mile chase across the southern end of the earth by the Australian fish police before the pirates were apprehended and taken into custody. In that way, Chilean sea bass are representative of large fish and oceans all around the world that may be in danger because of over fishing, whether legal or illegal. As we learned more about this imperiled situation, we understood why our guide was adamant about not purchasing this particular fish, either in a supermarket or a restaurant. Traveling the world is important because it helps travelers better understand issues that they might not be faced with at home, such as the importance of global sustainability. Now that we know better, we no longer consume Chilean sea bass. Hopefully, others will rethink their choice of seafood, too.